Join us on this Santorini food tour to get a local experience of the city while tasting the most authentic dishes. We picked 4 of our favorite places with amazing food, and service. 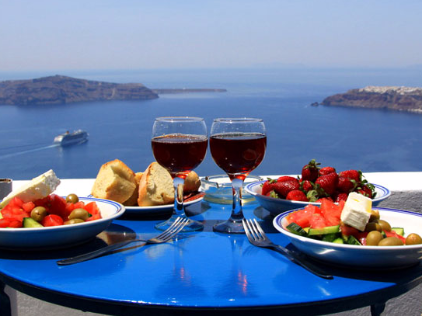 A really good chance to taste the traditional dishes of Santorini. First we visit Pyrgos for a greek coffee at a traditional coffee place. Then we visit a restaurant to taste some of Santorini's local dishes, and homemade lemonade (their recipe, very refreshing). Very friendly environment, clean, and most important very well cooked food. After that we visit a local tavern to try more dishes, some of them from Santorini and some from other cities of Greece.Again very friendly environment, it feels like home. For dessert we picked a place for icecream. It's safe to say The best icecream on the island. The cones are homemade and they pour hot melted chocolate inside that freezes when it touches the icecream.